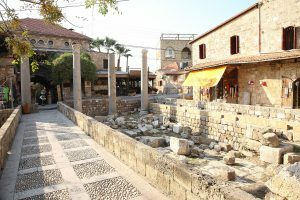 Byblos (Jbeil), one of the world’s oldest continuously inhabited cities. Lebanon, in many ways, is where East and West converge. It is a uniquely sectarian state in the Middle East, intentionally designed to ensure religious freedom, and yet it remains vulnerable to the tensions of the surrounding region. The diversity – both cultural and topographical – of this country astounds those who visit it. The beautiful Mediterranean Sea splashes toward the congested urban streets and high-rise buildings of Beirut and other large coastal cities. These in turn stand in stark contrast to the rustic charm of secluded mountain villages. 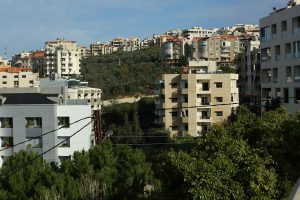 Apartment homes in Mansourieh, near the LSESD campus. Lebanon’s breathtaking green peaks and deep valleys melt into a sprawling agriculture plateau, the region’s “bread basket,” which stretches boldly along the Syrian border. Progressive university campuses and nightlife exist in close proximity to crowded refugee settlements. 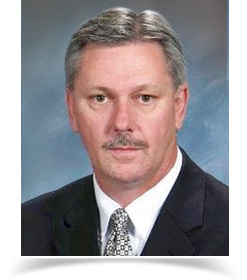 Sparkling malls and entertainment centers seem unaffected by an infrastructure that is taxed well beyond its capacity. In close proximity, the call to prayer is heard from beneath the minaret of a local mosque, as church bells ring out to gathering worshipers. Children from diverse backgrounds enjoy school friendships that lay a strong groundwork for their collective future, while their parents and grandparents struggle to forget the vivid, divisive images of a long and ugly civil war. 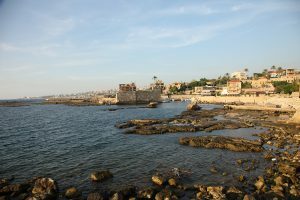 A UNESCO World Heritage Site, in Byblos (Jbeil) visitors tour a Crusader castle, the St. Jean-Marc Cathedral (c. 1115), and an authentic souk. And yet, transcending all this diversity, are beautiful, unifying cultural realities. Upon entering any home in Lebanon, you’ll be greeted with genuine warmth and extravagant hospitality. The vernacular is crowded with kindnesses, well wishes, and prayerful phrases. Loyalty to family undergirds and molds all other priorities, with the lives of extended family members interwoven deeply together. The story of Lebanon is the history of a people who have endured one conqueror after another. The remnants of many civilizations are tucked away quietly under the enduring shade of cedar trees. And beautiful Lebanon, in its rich diversity, in its simultaneous strength and frailty, is now home to the largest number of refugees per capita in the world. Amidst the complexities of this context, our Lebanese friends and partners are perfectly positioned for impact in Lebanon and the Middle East and North Africa. Through years of faithfulness and innovation, they have continued to influence individual stories as well as the wider culture. They are uniquely equipped to respond with God’s love in this time, in their place.